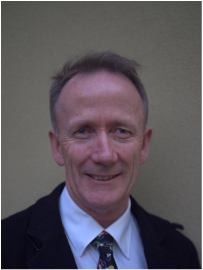 Dr Duncan Sullivan trained in Perth as a Sports Medicine Physician, and became one of the inaugural Fellows of the Australasian College of Sports Physicians in 1991. His expertise covers injuries and the usual disorders of athletic medicine. Having worked in multidisciplinary clinics, and provided medical cover for World Championships in Triathlon, Cycling, and Swimming, and for WAFL football and fun runs, Duncan has acquired various practical treatment skills and strategies. These include manual therapy, trigger point injections and dry needling, taping, exercise prescription and joint injections. He can advise on bicycle set up, foot mechanics and orthotic correction, and prolotherapy for the Sacro-Iliac joint. He performs measurement of compartment pressures, and cortisone iontophoresis for the treatment of tendinosis and superficial inflammatory conditions. More recently he has acquired diagnostic ultrasound skills and performs injections under US guidance when required. He has been Australian Junior cross country champion, WA state champion in running (800m, 1500m, 5000m), orienteering, mountain bike orienteering, and mountain bike XC racing (Super Masters), and competed at a high level in Triathlon and Windsurfer course racing. He understands the needs and demands of athletes and those who exercise. Dr Sullivan's primary consultation rooms are at Sports Medicine Glengarry. He also consults at Perth Orthopaedic and Sports Medicine Centre on Tuesday afternoons and Thursday mornings - 31 Outram Street, West Perth. Phone 9246 4055 for all appointments. Dr Jonathon Charlesworth is a Sport and Exercise Medicine Doctor and a Registrar on the Australasian College of Sports Physicians' 4-year Sport and Exercise Medicine Physician Training Program. Based at Sports Medicine Glengarry, Jonathon has an active interest in the management of concussion and tendinopathy. His particular interests in musculoskeletal diagnosis are hip, groin and exertion leg pain. He has worked at SportsMed Subiaco in 2015-2017. Jonathon uses ultrasound for both diagnosis and injections and is particularly interested in dynamic ultrasound techniques. He is an ex-Australian Hockey Player, part of the 2012 London Olympic Squad and represented the Kookaburras internationally in Europe and Asia. He remains involved in treating hockey players at all levels in Perth, working closely with club and state programs. He has also worked with the mighty Peel Thunder Football Club from 2013-2018 including the team’s first premiership in 2016. Jonathon is doing research into the relationship between stress fractures and vitamin D deficiency. He has been co-author on numerous papers in the past years including treatment for popliteal artery entrapment syndrome, management of infraspinatus muscle tears and the relationship between alpha angles and hip range of motion in AFL footballers. If you are a patient with an interest in any of these topics or being involved in the research, please contact the clinic and Jonathon will be in contact with you.